ArenaNet makes beautiful games, and I admire them greatly, so when we were asked to do a presentation on art direction- I knew exactly who to go too. 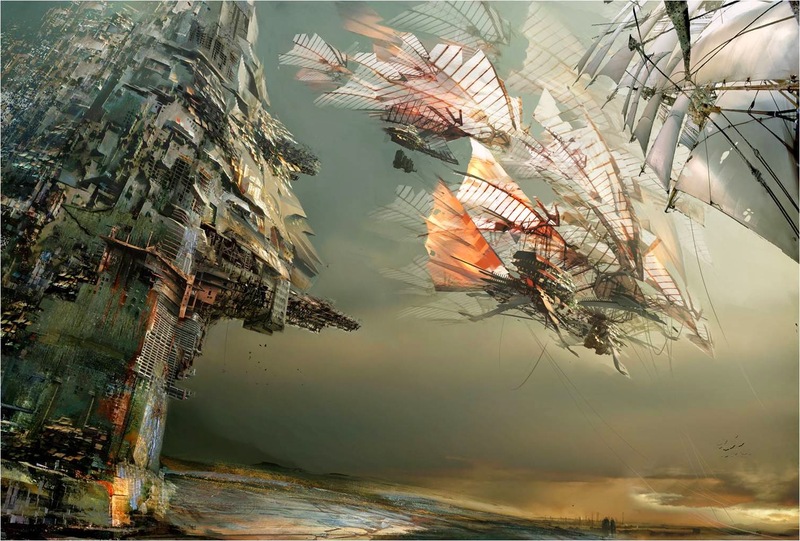 In their game Guild Wars 2, they adopted a striking painterly style, but it goes beyond the visuals, the paintings are very atmospheric and give glances into the quality of the game. 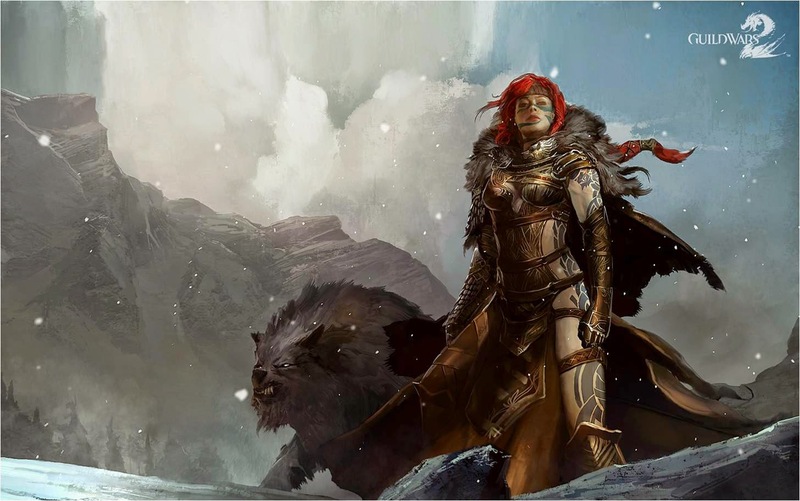 This is a character paining for the leader of the 'Norn' race and what I think it is important to note is the small details that go along way in creating an immersive sub culture which ArenaNet is trying to do. it gives off tribal vibes with the fur and leather while leaving areas showing the tattoos which is presumably an important part of Norn culture hence why it has been left showing. The expression and stance indicate a strong character and the angle the angle the viewer is shown is beneath the character, looking up. This subtlety dictates power and control making this character fearsome and dominant, not to mention she stands out from the slightly washed out background. All these things add to how we perceive the race in game, just from composition and little visuals details that make it feel authentic. The colour really stands out here, it gives the impression of warmth and life with the yellow which is made to feel especially cosy against the cold blues and whites in the background. It almost resembles a beacon and refuge point in a desolate environment. The shape is also really dynamic and interesting for a fantasy universe and the sense of height and precariousness adds an element of intrigue to the city. 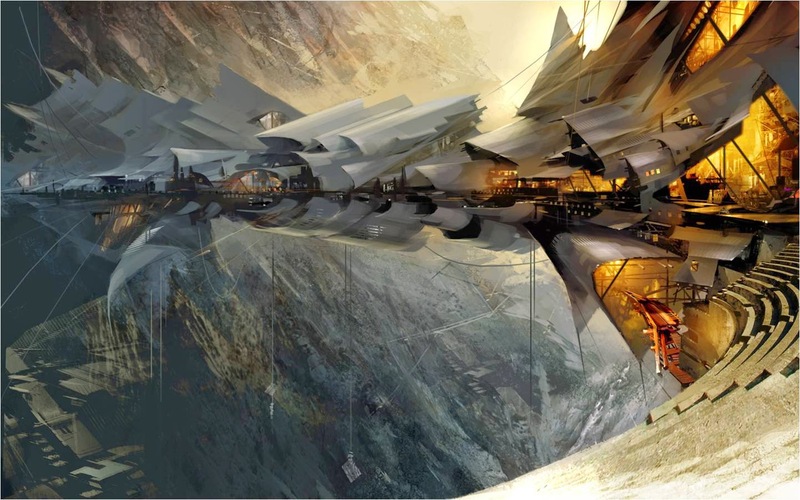 I mentioned before that ArenaNet was revered for it's ink style and this is what I mean, I love the way it looks like a mixed media piece and has lots of energy. Its feels much less static that traditional character concept art and really feels as though the designs are coming to life and standing out. It also feels like it gives the paintings an inherent sense of movement and flair. The sense of scale here is key, the angle makes the structure feel even more colossal than if we were looking at it straight on. I always get the impression that you are and onlooker in the painting starting up in awe of the wicked prowess and power the ships have and being able to witness them is a profound honor. The 'light of dawn' feel also adds to this as the yellows and oranges add to the regal heroic presence. Also if you look closely on the detail for the building allot of it isn't actually structure, it just paint texture and colour to give the impression of busyness without detracting from the focal point of the image that over-detailing can do. 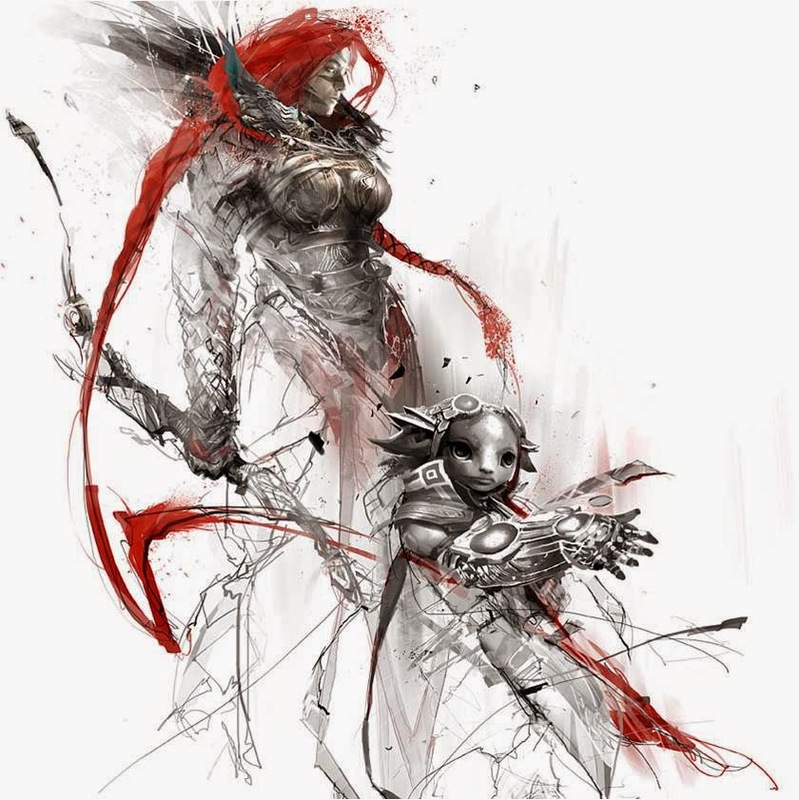 Overall I think the Guild Wars 2 Team has a roster of immensely good artists who know and understand the importance of composition and the delicate use of painterly texture and inky styles. I feel is stands as a lesson to all of us that a pining doesn't have to be hyper detailed to have a strong impact, but colour and texture can be used to create movement and flair.